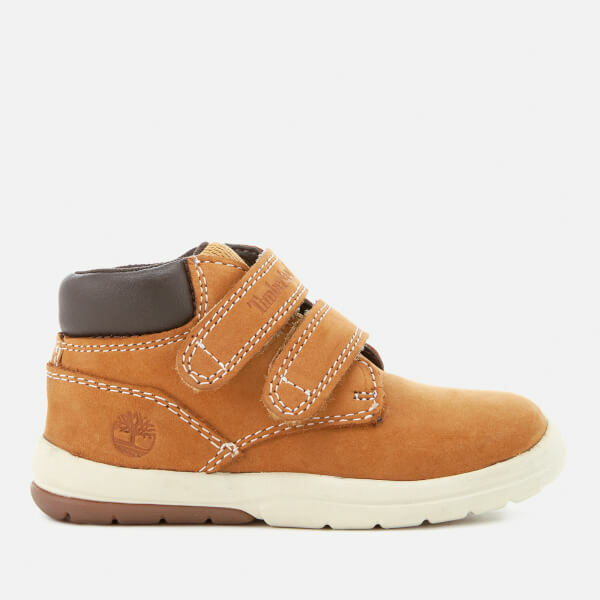 Toddlers’ ‘Toddle Tracks H&L’ boots from Timberland. 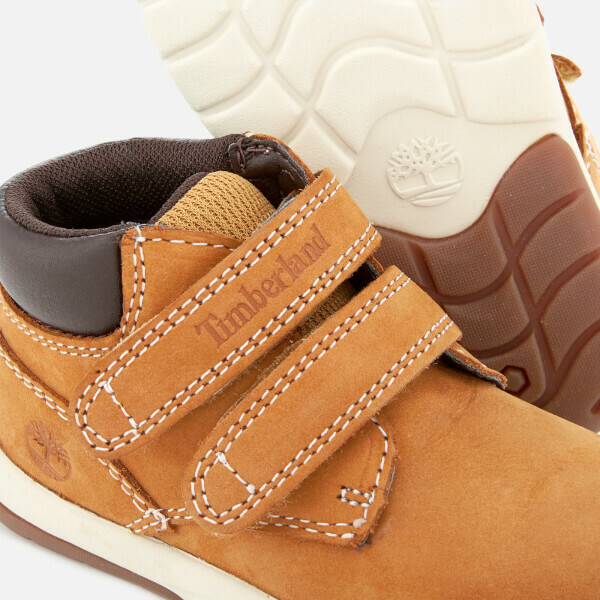 Crafted from smooth and sturdy nubuck leather, the shoes comprise a two-strap Velcro fastening, decorative stitching and a contrasting padded ankle collar for comfort. The boots are set upon a chunky contrasting sole which offers superior grip and stability. Embossed branding to the heel completes the design.